We finally got more snow on Friday and the following night. I had already a longer training ride in my plans for Saturday, so the timing was perfect. The ride was so great that I had to stop several times for photographing, so here is a recap. 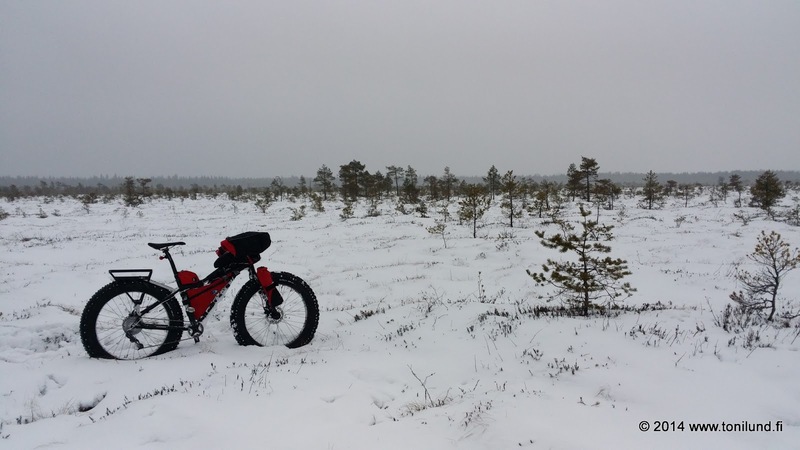 I decided to ride to the Wilderness of Marttila via a new route, mainly on small roads. It proved to be a fantastic choice! ...but later it got even better! On the trail to the Karhunperänrahka mire. The new 9:ZERO:7 with Clownshoe rims and Bud/Lou tires were phenomenal! The mire was however really bumpy, but I did ride on it for awhile. I was running out of time so it was time to head home. This was an excellent training ride with pretty high intensity. 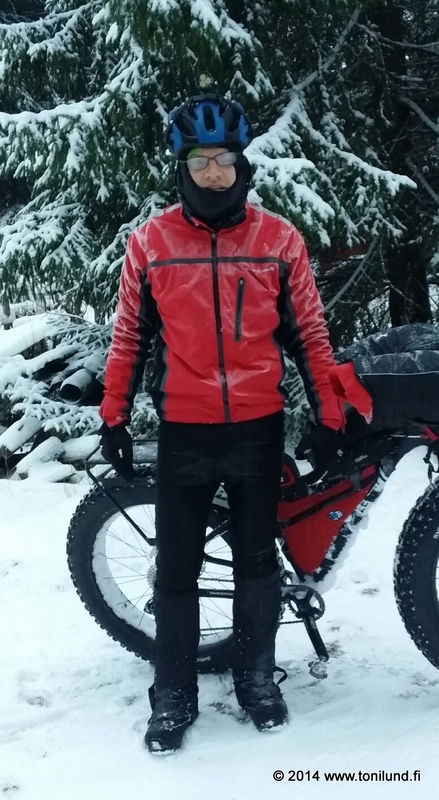 I'm feeling ready for the Rovaniemi 150.